Jonathan Matthews has sculpted some of DC Collectibles' popular collectibles ever, and now he adds his unique take on the Caped Crusader for the Batman Black and White line of statues! 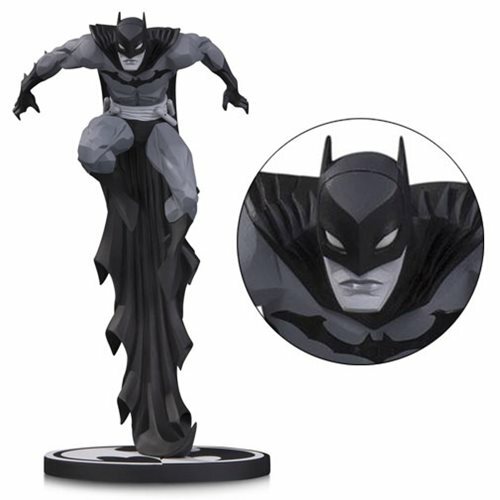 The Batman Black and White by Jonathan Matthews Statue features Batman leaping with his black cape flowing beneath him. The flowing cape acts as an awesome display to keep Batman seemingly suspended in mid-air!